The part where I say thank you…and write some poetry. | Just bare with me. The part where I say thank you…and write some poetry. Joss Whedon slays me sometimes: http://youtu.be/6TiXUF9xbTo. My last post was a heavy one. It was full of emotion and anger, just like I was at the time. It was a declaration, but only to myself, written as my own sort of therapy without any agenda in mind or expectation of response or pity. It was made public so I had no excuse but to own what I was writing, not putting it in some sort of private journal or Word document. It felt weird. It felt GREAT. Now, to the many people who reached out to me, either through comments, private Facebook messages, or emails, I want to say “Thank you.” I was blown away by your replies, because I definitely didn’t expect to receive any. The kind words, encouragement, and optimism shown by everyone who wrote me (you know who you are!) mean a lot, so I want to let you know that I really really appreciate you. I was shocked at how many people felt safe enough to share their own similar experiences with me, and it made me feel less alone with these feelings. The book recommendations, offers to get together and talk, and just the fact that you took the time to send me a word will go a long way. So thank you. Thank you very very much. 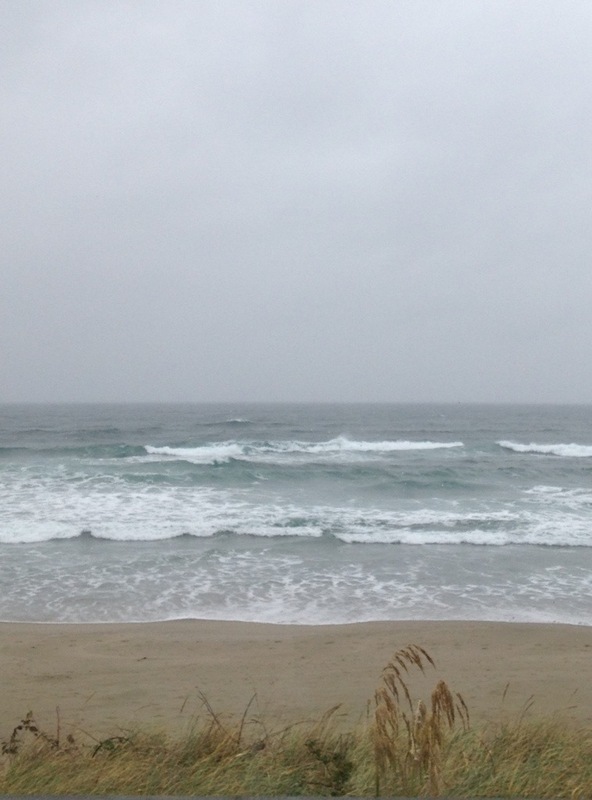 There was a moment, while we were standing on the beach next to the water, with the pouring rain and the blowing sand, when I turned to face the blasting wind and all it brought forth. I stood there, receiving it all on my face, dripping down my cheeks and chin onto my chest, feet sinking into the accepting sand. There was a moment when I flew, arms stretched out above the cloud-like sand, and felt like I owned myself. I had power. I had strength. I had the will to do it all on my own. That was when I turned and saw you facing away from me and the wind, away from all that I received into my being. It was all for me. This was my moment. I smiled and turned back around, toward it all, to see what has happened and face what has not yet come to pass. I’m still smiling. ← Some thoughts on Betrayal.